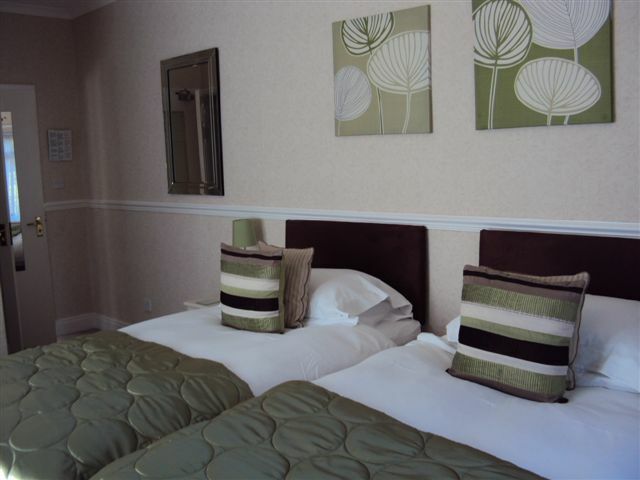 We offer a choice of double or twin rooms (one being on the ground floor), all offering newly refurbished en-suite facilities. The twin rooms are at the rear of the house and overlook the garden with views over the Sid Valley. 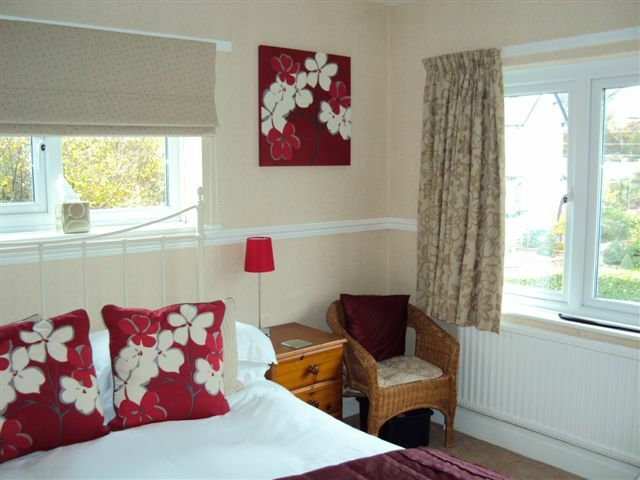 The double rooms are at the front of the building and all have views over the Sid Valley. Alexandria Road is very quiet at night providing the right atmosphere for a refreshing sleep. All beds have duck and down duvets, but fibre filled duvets or blankets are available on request preferably on booking. 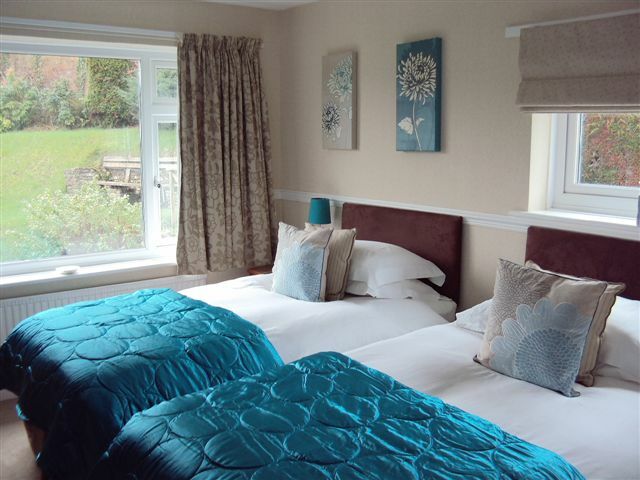 Each room is furnished with a well-stocked hospitality tray providing a choice of teas, coffee, chocolate, biscuits and Glastonbury Water. 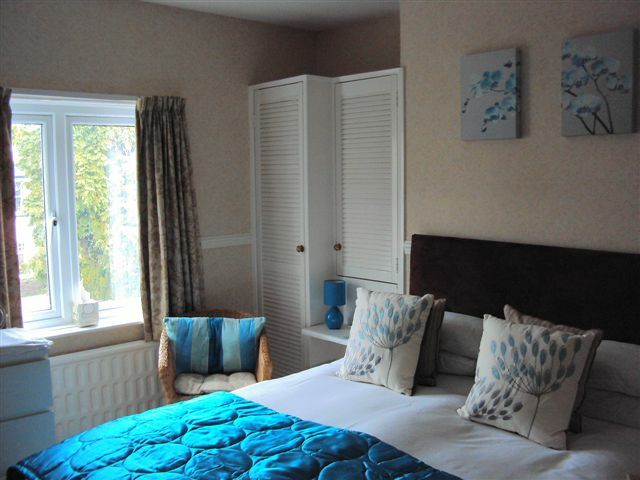 In addition, all rooms are equipped with flat screen television with freeview and DVD, radio alarm and hairdryer. An iron & ironing board, cooling fan or heater are available on request. The bathrooms on the first floor all have showers and heated towel rails, illuminated mirror with electric shaver points. 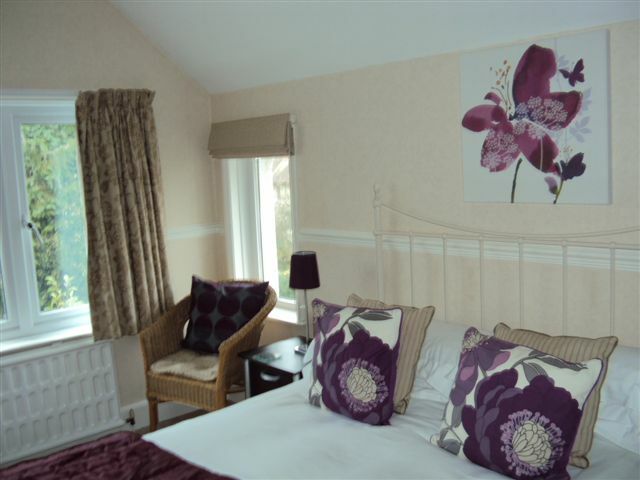 The ground floor twin room has a bath with shower over and all bathrooms are well stocked with environmentally friendly soaps, shower gel, tissues, cosmetic pads and moisturising lotion.